Kimihiro Watanuki's life was never really normal. 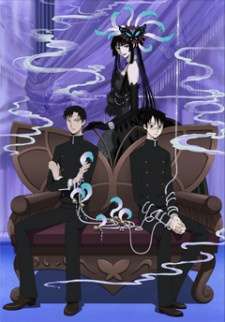 But in addition to his ability to see spirits, this sequel to xxxHOLiC finds him still slaving away for Yuuko, the bizarre owner of a strange shop, who promised to rid him of this ability. However, this otherworldly woman can only do so when he has worked enough to earn his wish. Such is the way for anyone who finds their way into the shop to have their request granted: a compensation equal to their wish must be paid. In this odd shop that straddles the world of the living and the dead, Watanuki finds himself doing household chores for the seemingly lazy Yuuko and her companions, while also helping out clients. Along with his classmates, supposed romantic rival Shizuka Doumeki and his crush Himawari Kunogi, Watanuki deals with the many misfortunes surrounding Yuuko's customers, as well as those that closely follow him and his friends.